Here is where you can regularly hear me play piano live in Los Angeles! Double check my show schedule here on my website to see when I am playing as I am sometimes off playing at a private event instead. 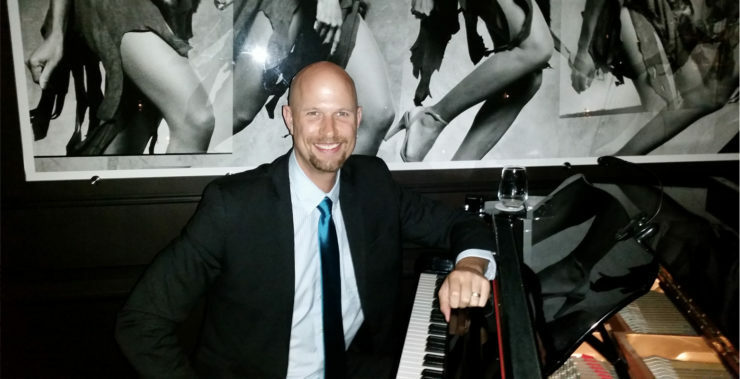 I have a new residency as the pianist in the bar and lounge at the Hotel Bel-Air on Thursday and Friday nights! Come enjoy the wonderful atmosphere, the scrumptious Wolfgang Puck menu, drinks and, of course, the fantastic live piano music! The piano is located in the bar, but the music plays throughout the whole restaurant.